nationally known Bernina artist Marianne Schubbe. 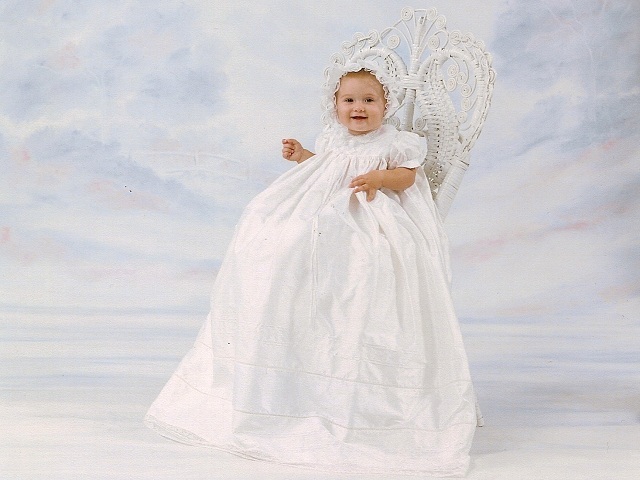 Christening gowns, christening rompers and detachable gowns custom designed for baby boys & girls special day ~ Available in a variety of fabrics, styles and sizes. 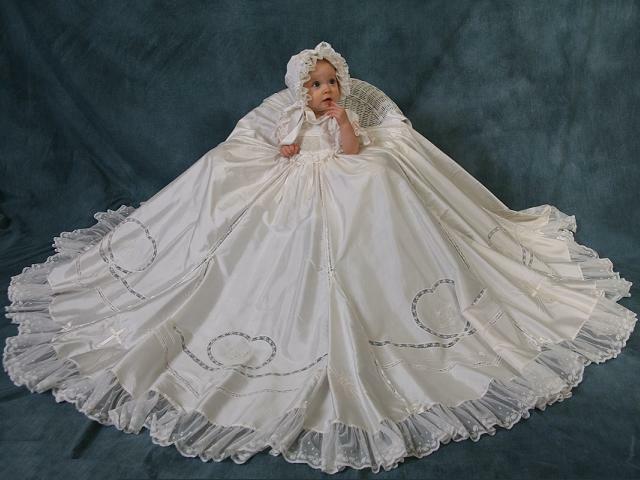 Irish christening gowns for girls include Belfast's Best Irish Linen, Celtic crosses & shamrocks in a variety of styles, fabrics and sizes. 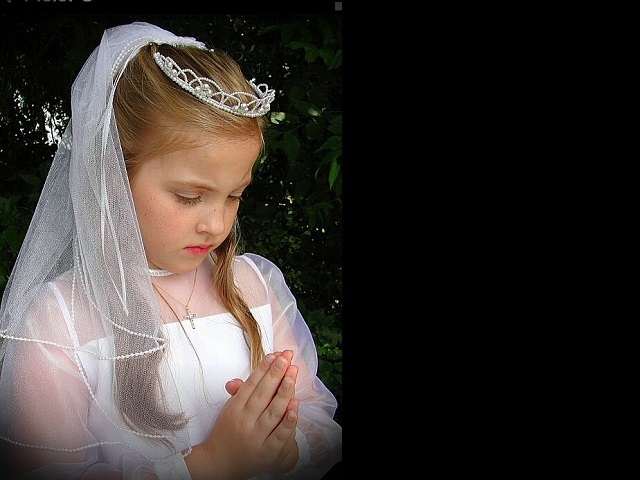 Communion category includes custom made dresses, veils and accessories in a large variety of fabrics, styles and sizes. 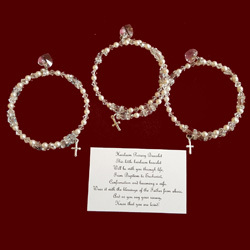 Wide selection of unique, custom made gifts designed for boys and girls ~ many personalized keepsake items available. 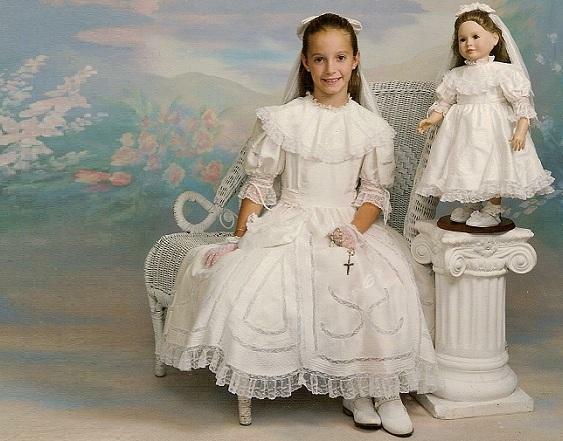 Perfect keepsake for baptism, First Holy Communion,wedding or family, now 20% off through the month of April! 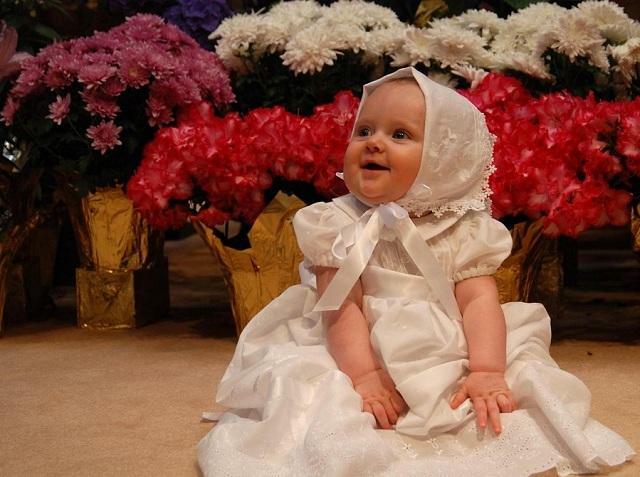 We have received the beautiful christening romper for my son's christening. The outfit is absolutely gorgeous! Ultra soft "Minky" fabric on the inside and outside of this adorable reversible bonnet for baby girls has a gathered lace ruffle to frame her beautiful little face. With satin ribbon ties and elastic to ensure a good fit around her neck. Pink/orchid on overstock clearance in size 0-3 months only. Bonnet has marabou boa trim on the orchid minky front (not shown).